Getex's qualified asbestos trainers can provide your facility’s staff with the skills to identify asbestos, choose appropriate asbestos safety equipment and manage your occupational requirements in regards to asbestos. Getex’s focused training has assisted numerous clients control the all too common health and safety hazard of asbestos being mismanaged. Getex has also developed an effective asbestos identification training course specifically tailored for personnel within the waste storage, handling and processing industries. The focus of the course covers the visual examination of waste materials to identify key material properties which indicate that a material potentially contains asbestos. The key indicators studied are far more reliable in determining potential asbestos content than other unfounded techniques commonly used by un-trained personnel. The course consists of both theoretical and practical components with the practical involving the examination of real life material samples to apply the concepts studied in the theoretical session when assessing for potential asbestos content. Each course attendee receives a certificate of attendance and detailed course notes including example photos and diagrams. 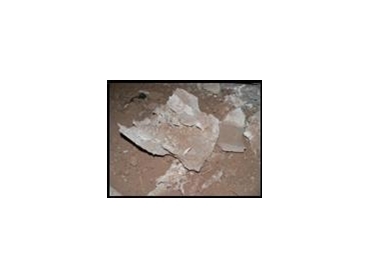 To provide maximum ongoing benefit for each site trained, each site will also receive a complete physical sample library of materials that are often suspected of containing asbestos and typically encountered by waste facilities.